the proud owner of my entire collection! Splintered shields. Sharpened swords. Blood and death. The Everlands Kingdom is threatened by the Master of Death himself, and Elle is determined to stop him. After years of living under someone else's shadow, Elle's quest for the mystery that her forgotten past holds will turn her life into a sea of uncharted confusion and endless adventure. Once the truth is revealed, only then, will all the stars align to illuminate Elle's path and the clouds that blocked her way to fulfill her destiny fade. But before darkened skies change into their daylight gown, blood must be spilled, hearts must be broken and truth must light the way. Death roams freely over The Everlands; neither friend nor foe are spared the sharp blade’s edge. Betrayal is in the air, mercilessly choking those already struggling to breathe. Innocents’ blood taints the water, and the earth has become one massive graveyard. Tragedy strikes on all fronts, bringing to their knees even the strongest of men. With new attacks pouring down like endless rain, once again Elle is caught in the eye of the storm while it threatens to destroy the world she knows, the people she loves, and the Kingdom she’s sworn to protect. Honor turns to ash as good men forsake their souls to join Tolem's ranks. While the army of The Master of Death expands, alliances are made between Monarchs of near and far lands. Trust becomes a luxury unaffordable by those who fight for freedom. But as the opportunity to end the wave of destruction rises on the horizon, Elle comes to realize that Fate is a Harsh Mistress who offers peace to all but at a terrible price, one she is not willing to pay. 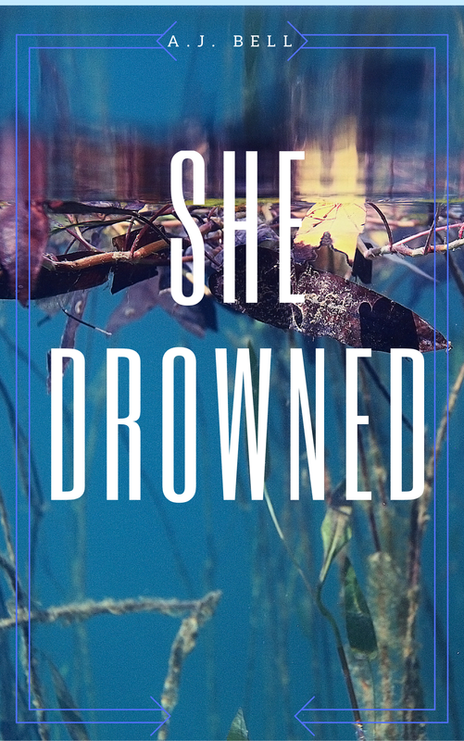 Elle braces herself for the consequences, yet nothing could have prepared her for the oceans of blood, deep despair and heartbreak that follows. As hopelessness sweeps through the land, she remembers the words that brought her family honor from the beginning of time: Noy wesoto vyceldo. We stop not. We yield not. The more Ana searched for answers, the more frightened she became. The pale woman wearing a teal nightgown, the same beauty that emerged from the lake night after night, the lady that chanted Ana’s name in the darkness, was nobody’s friend. But she had seen Ana’s face, knew her name and where to find her. Ana could run but when the haunting happened in her dreams as well as in real life, where else could she hide? What would you do to save the one you love? The one person you couldn’t live without? After many heartaches Lorie finally meets the love of her life. How to stop the nightmares from becoming real? How to appease Death’s hunger when it seeks the blood and flesh of the only person in the world whose life is more precious than yours? What do a frustrated snow-globe, a woman whose luck has run short, an old lady who complicates life in a fast food drive thru joint, a couple meeting for the very first time and the epic rivalry of the winter fairies with the north pole elves have in common? They all can be found in the pages of The Twelve Stories of Christmas. The Twelve Stories of Christmas is a unique mix of short stories that bring to life romance, charity, kindness, compassion, friendship, magic and the love and spirit of the season. Christmas lights, hot cocoa, caroling, mistletoe and all the other ingredients of a special Christmas season are all contained in this small book. Whether you believe in the magic of this season or not, The Twelve Stories of Christmas has something you can enjoy. So grab your favorite blanket, your hot cocoa cup and let the stories unfold. It is said, that when the student is ready, the teacher appears. But who would have thought that completing a school assignment could produce more than an ordinary grade? That a plain envelope could hold much truth inside and be worthless just the same to the closed minded and unprepared? And that simple Philosophy quote could change a strangers life? Want to know what's up next? 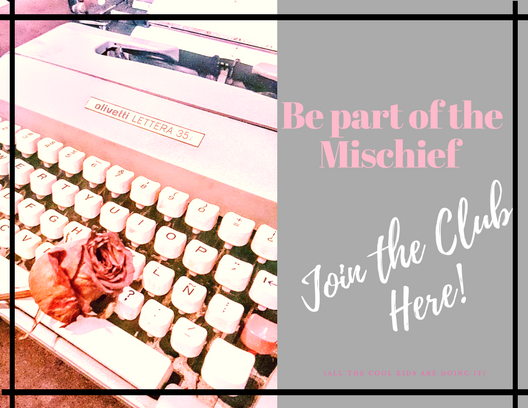 ​Join the Mischief Club and find out!